Disclosure: Our family was provided with a code to try the game. No momentary compensation was received. I have not met a kid yet that does not have video games on their Christmas lists this year. I sometimes feel as though the Goosebumps gang is a part of our family as much as our kids watch the show...over and over and over! They love it! Even the books are staples in our home. I have seen a few episodes as I have watched it with them and as far as scary shows go that are acceptable for children, I can safely say this is one of the best. 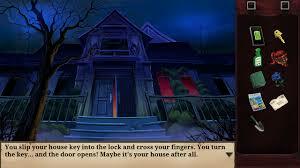 "Goosebumps is one of the literary world's most emotionally and commercially successful franchises." said GameMill Entertainment's Andy Koehler. "Between those of us who read the books with our kids, and those of us who actually were kids when they first came out, there's a lot of love here for the unique blend of fun and easy horror that author R.L. Stine brought to life. We experienced the game on the PS3. This game is a bit different than the norm, it's a slower pace and takes some getting use to. 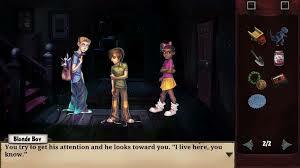 Though the kids love being able to jump right in to the scene and become a part of Goosebumps, though the controls were a bit hard to control as they will not be what you are use to. There are little arrows on the screen that you have to click on to move. My kids got stuck at the first monster they ran into, so it can be a challenging game, but gives you different options to explore as you try to race home from school. Overall they thought it was just okay, not something to rave about, but if you're a fan of the Goosebumps series, this is something you will def want to check out as it's affordable and available for download. 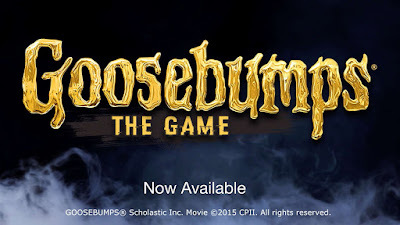 Goosebumps: The Game is now out worldwide as a digital title on the PlayStation 4 and PS3 computer entertainment systems through the PlayStation Store at $14.99, as well as PC via Steam and at retail stores for a suggested retail price of $19.99. It's also launched on Xbox One and Xbox 360 via the Nintendo eShop and at retail on the Nintendo 3DS handheld system for a suggested retail price of $29.99. 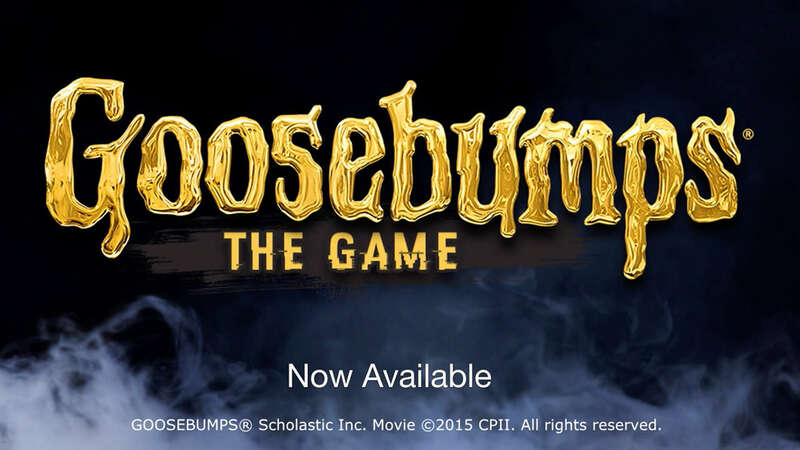 To date, the Goosebumps book series, published and distributed by Scholastic, has sold over 400 million copies in over 30 languages across the world. All five seasons of the live-action television series based on the property, which aired originally in over 100 countries, are currently available on Netflix. For more information on GameMill’s collection of original and licensed gaming titles, please visit www.game-mill.com. GoosebumpsTM is now one of the best-selling children’s series of all-time—with more than 350 million English language books in print, plus an additional 50+ million international copies in print in 32 languages. TheGoosebumps® top-rated, long-running live-action TV series, produced by Scholastic Media, premiered in 1995 and sold in over 55 countries. Together, the books, TV series and licensing activity have made Goosebumps a full-fledged pop culture phenomenon for multiple generations of fans across the globe. Scholastic has over 400 million Goosebumps books worldwide in 32 languages in print since the series introduction in 1992, earning critical acclaim and dominating global best seller lists. R.L. Stine has been recognized as one of the bestselling children’s authors in history. Now, the literary phenomenon is coming to the big screen. In Goosebumps, teenager Zach Cooper (Dylan Minnette), upset about moving from a big city to a small town, finds a silver lining when he meets the beautiful girl, Hannah (Odeya Rush), living right next door, and makes a quick friend in Champ (Ryan Lee). But every silver lining has a cloud, and Zach’s comes when he learns that Hannah’s mysterious dad is in fact R.L. Stine (Jack Black), the author of the bestselling Goosebumps series. As Zach starts learning about the strange family next door, he soon discovers that Stine holds a dangerous secret: the creatures that his stories made famous are real, and Stine protects his readers by keeping them locked up in their books. When Stine’s creations are unintentionally released from their manuscripts, Zach’s life takes a turn for the weird. In a crazy night of adventure, it’s up to Zach, Hannah, Champ, and Stine to team up and get all of these figments of Stine’s imagination – including Slappy the Dummy, the girl with the haunted mask, the gnomes and many more – back in the books where they belong to save the town. Directed by Rob Letterman, the screenplay is by Darren Lemke with a story by Scott Alexander & Larry Karaszewski, based on the Goosebumps book series published by Scholastic and written by R.L. Stine. The film is produced by Deborah Forte and Neal H. Moritz. GameMill Entertainment, located in Minneapolis, Minnesota is a third-party publisher of casual games for the mass market consumer. Development platforms include PC, Nintendo handhelds and consoles including Nintendo DS™ , Nintendo 3DS™ and Wii™, Microsoft consoles including Xbox 360® video game and entertainment system, XBLA, Microsoft Games On Demand and Kinect™ for Xbox 360®, and Sony handhelds and consoles including PlayStation®3 computer entertainment system. With development across the globe, GameMill is a source of entertaining and fun games for all ages. For more information, please visit: www.game-mill.com.